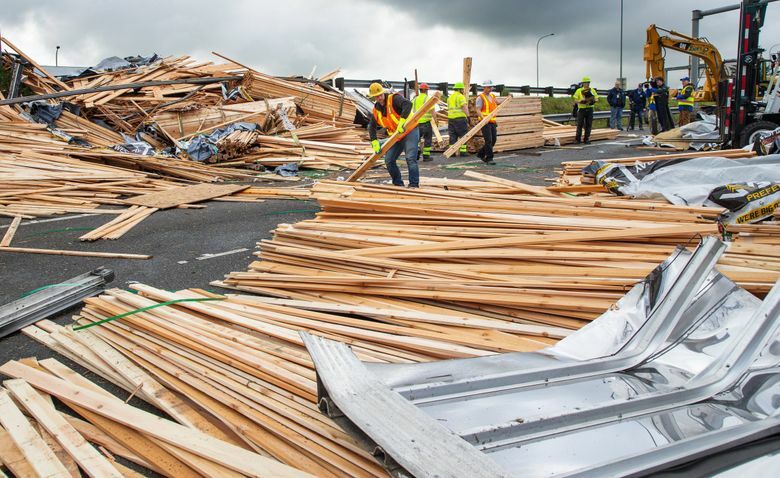 A crash involving several vehicles and a semitruck has closed two lanes of southbound Interstate 5 near Everett during the rainy Friday morning commute, according to the Washington State Department of Transportation. Traffic in the area is backed up. 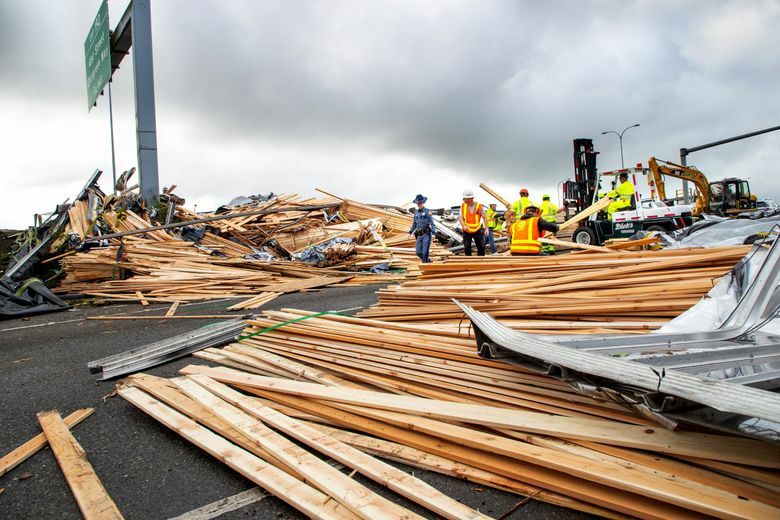 The collision happened shortly after 6 a.m. Friday when a car changed lanes and struck another vehicle, starting a “chain reaction” that ultimately led the driver of a loaded semi to roll over an embankment, separating the truck from the trailer and spilling lumber all over the Pacific Avenue onramp, said Trooper Heather Axtman, a Washington State Patrol spokesperson. 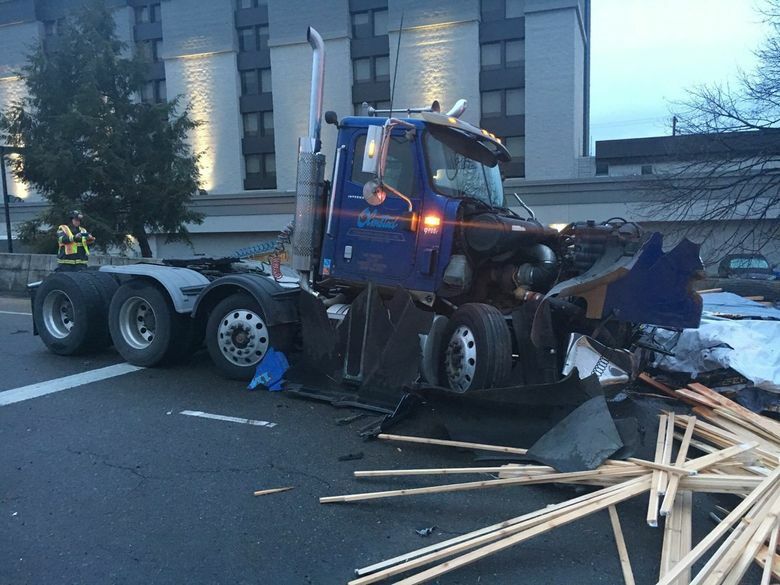 The driver of the semi suffered serious injuries, but no injuries are life-threatening, she said. One other person was taken to the hospital. Axtman said that a fourth southbound lane would likely be reopened after 7:30 a.m., but that the onramp would be closed for hours.